An ounce of discouragement can set anybody back further than they'd expect. "I've always been healthy and exercised regularly, but I went through a tough time before I joined PumpUp due to health problems," lamented PumpUp member @graciefit14. "This discouraged me a lot and took my mind away from what I loved the most, which was the gym." Though Grace maintained a gluten-free diet and alternated between either weight-lifting or yoga, she ended up bingeing on her food. Before PumpUp, Grace stood at her heaviest: 170 lbs. "I would work out 6 times a week for at least 2 hours, and I was still gaining weight," said Grace. One fateful afternoon in September 2014, Grace discovered the PumpUp community through an Instagram post. It hit her: she realized that she had no motivation to be healthier. "It was a sign," she insisted. "I instantly downloaded it and started to see how much motivation I could receive from real people. They weren't fitness models or part of another weight loss commercial. 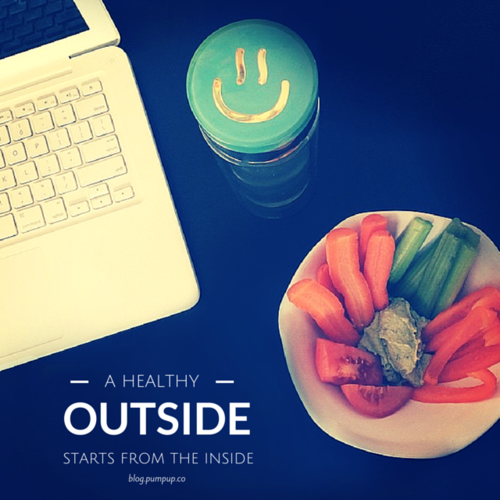 The people on PumpUp are real people in a community who are getting healthy together." Not only does Grace feel healthier since she joined the PumpUp community, she also feels more knowledgeable. "My lifestyle with PumpUp is much more fulfilling," she elaborated. "I eat healthy for at least 90% of my day, count my macros, and work out 4x a week. I've lost 15 lbs since I began my journey on the app." Though Grace decreased the frequency of her workouts, her attitude towards exercise is much more positive. "I actually want to go to the gym now that I only go 3-4 times a week, in comparison to the 6-7 times that I used to," she confirmed. 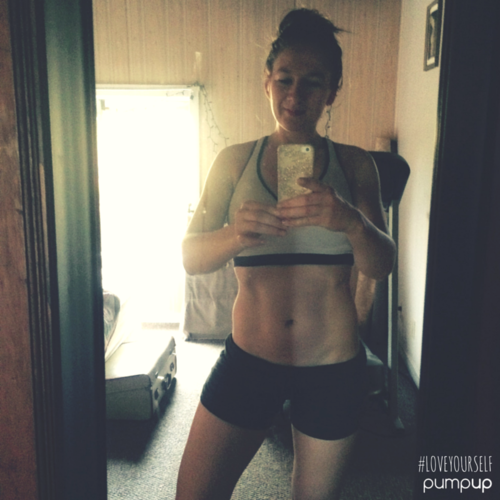 "I feel healthier and I love gaining knowledge and support from all the other PumpUp members." Grace dealt with high anxiety, had gallbladder removal surgery in October 2014, and has been overcoming chronic nausea for almost one year. "This affects me during strenuous workouts," she said solemnly. "I always tell myself to quit and go home, but if I finish my workout, it makes me feel stronger than I was before." Not only did support and encouragement from the PumpUp community motivate Grace to adopt healthier and more moderate eating habits, her surgery also impacted the composition of her diet. "It made me realize how to eat correctly," she explained. "I consume less fat and am unable to eat greasy food." Grace urges those looking to live a healthy lifestyle to stop depending on the opinions of others. "I personally went through the struggle of trying to hide that I was eating healthy because others were constantly judging my decisions," she shared. "This especially happened when I would visit friends at college and didn’t want to drink or go out to McDonalds." Peer pressure caused grace to give in to eating junk food, and she felt awful afterwards. Because she wasn't surrounded by a positive environment of motivating people on the PumpUp community, she didn't feel safe to share about her health-related accomplishments. "Since I joined the PumpUp community, I feel proud to feed my body with good nutrients and the occasional chocolate bar," she said positively. "I even got my family to begin tracking their macros and cut back on their sodium and sugar intake." What I hope to accomplish while using Pump Up is to run a 10k and also inspire others to better themselves. I am currently studying to become a Registered Dietitian, but before I get my degree, I’m hoping to get my fitness nutrition certification and work in a gym. I look up to a woman named Amber Orton a lot! I began following her Instagram about 2 years ago and she tells the truth about the fitness industry. She eats unhealthy when she has cravings, and also informs others that the competition body isn’t sustainable over long periods of time. Some people think that people who compete have that body all year round but they get “soft” too and gain body fat. She also stresses a lot that everyone has different body structures and mechanical make ups. Not all exercises work for everyone, which is something I had to learn when I saw others improving more quickly than I was. To stay healthy, I hired a trainer and do weightlifting with him 2 days a week. We do heavy days, then a cardio/ circuit day. He also helps me to keep a healthy diet and track my macros. I also do yoga once a day with at least 1 other day of lifting/ cardio mixed in there for a total of 4 days of exercise. I am a true believer that one should begin in the kitchen, then move onto the gym. You cannot get your dream body while eating bad foods. If you work out then eat pizza, there’s no point. I am planning a trip to New Zealand for next winter. I plan to live on the South Island and travel for a month enjoying the beaches and mountains. I love the outdoors and am excited for this new adventure. May even end up moving there, who knows. Keep Grace pumped! Cheer Grace on as she maintains her healthy habits! Have words of encouragement for Grace? Leave a note in the comments below! I am a college student (well, I will be for the next two weeks). I work hard and I achieve grades that count. But college has been pretty easy for me. In fact, I say this all the time: school is a skill that I have. I can pass a class pretty easily. Will I work hard? Yes, but I’m not one for all-nighters because I love my sleep. Aside from being a college student, I’m also a student worker at my school’s campus visit office. This means that every week, I’m talking with kids from elementary to high school about my college and college in general. Visitors often ask me what my biggest adjustment was in the transition between high school and university. Normally, I insist that my time management skills made the largest change. Looking back on it, I earnestly think that staying healthy during college was the biggest adjustment that I had to make. A lot of students idealize college as a big ball of freedom. In a sense, it is...but with freedom comes responsibility. Unless you play sports or are part of some other organization that requires you to be active, you’re pretty much on your own as far as exercise goes. In high school, I didn’t even know that I was in shape because I just saw color guard as color guard. Performing an 8 minute show over and over again tired me out, but I never gave it much thought. Once I got to college, I didn’t have my color guard director nor my choreographer to shove certain moves down my throat. As I became increasingly sedentary, I started to lose my muscle. On top of losing muscle mass, my food intake was low and of poor quality. I ate out so much during my first year of college that the thought of my eating habits sickens me to this day. Now, I’m very particular about where I eat out; I treat it as a special occasion and I savour it. Needless to say, I gained the freshman 15 and then some. I thought that if my stomach wasn’t flapped over my pants’ waistline, then I was okay. As I started to look at my body, my stomach wasn’t flapped over but it was starting to jut out. I embraced an active lifestyle with a lot of hard work and determination. I will say that a huge wake up call for me came during Christmas this past year. I was wearing a black dress and as I was walking down the stairs, my mother-in-law said, “You’re not pregnant are you?” That was my a-ha moment. I knew that change must happen. If you’re in college and you’re eating ALL the ramen and doing no kind of exercise, stop right now. The earlier you start to make a change, the better off you’ll be. Staying healthy during college isn't easy, trust me. But if you really want it, you’ll find a way to make it work. This is a post by PumpUp member @ohmyitschels. Check out Chelsie’s YouTube page here. It is so challenging to give health and fitness advice when we are all so different. I come from a background where I learned to form healthy habits from the beginning by doing physical labor on the farm as a kid, and not having very many unhealthy foods available in our house. Each of us has a different story, different habits, different body types and levels of willpower. I came up with some tips to help those who struggle perhaps to create new habits. These are things I have done myself to get back into a healthier routine if I had lapsed in my discipline. If you stock your fridge and pantry with food that suits a clean eating, nourishing lifestyle, and keep out the foods that negate that, you won't have to fight temptation as often. I keep protein options around not only to build muscle but also to cut my sugar cravings if I have them. I keep fruit, both fresh and dried, around to satisfy my moments of wanting dessert. Or I make 3-ingredient pancakes (eggs, banana, & nutmeg) if I'm dreaming of cake. These choices at home also mean I can go to meetings or to visit my family and not have to say no to everything. I can eat a little of what is offered without being rude or strange, and not feel horrible about myself because I know when I go home, I will be back into my clean food routine. Working out right after you get up in the morning, even for just 15 minutes, helps you wake up and build confidence for your day. Setting your mindset into 'active' mode right away helps you enter your life with a lighter, brighter outlook and you will be energized. If your day becomes super busy you won't arrive home at night and say, "Dang, I didn't have time to work out today." You won't have to deal with days on end that are too busy if you set that alarm 15 minutes earlier just to get your squats, crunches, push ups, or a mile on the treadmill in. It's one way to start, and build in that habit. I know for me, I'm super tired when I get home from work, so some days if I just give in to that feeling and don't work out in the afternoon, I don't feel bad about myself because I did my 30-minute workout in the morning. You get a break during work. These are great moments for those 30-day challenges, especially the squat challenge which you could do anywhere, as they take very little time yet definitely help progress. Do some push-ups, pull ups if you have a spot, squats, lunges. It all adds up, and vastly improves your ability to form healthy habits by helping you to integrate workouts into your routine, no mater how busy you are. These challenges can also kick sluggishness, as long as you are staying nourished throughout the day as well. Packing enough food is super helpful for anybody looking to form healthy habits. I pack more than I need, just so I don't get tempted to go out and buy something when I'm hungry (this is also because I'm working on keeping a healthier budget!). Ziplock bags of measured amounts of fruit, nuts, seeds, vegetables; containers of healthy leftovers or if you're one of those organized people who preps their meals every week; some protein or energy bars that are made with more natural ingredients. Smoothies and your favorite protein drink are wonderful things to carry around with you! These are just a few things for those of you looking to build stronger, healthier habits and needing some advice on how to do it and stick to it. Most of all, try and enjoy the journey: discovering simpler food and how good it actually is, how strong you are and can be, and progressing step by step on the path of changing lifetime habits. Human beings are so amazing, we get to choose what we do in every moment and how we do it. Keep up the good work, and may you be the healthy person you dream of being! This is a post by PumpUp member @bodysoulspiritfitness, a teacher and movement artist with a passion for healthy living and adventure. Follow her blog here. I grew up in a household and lifestyle where food and health were key. 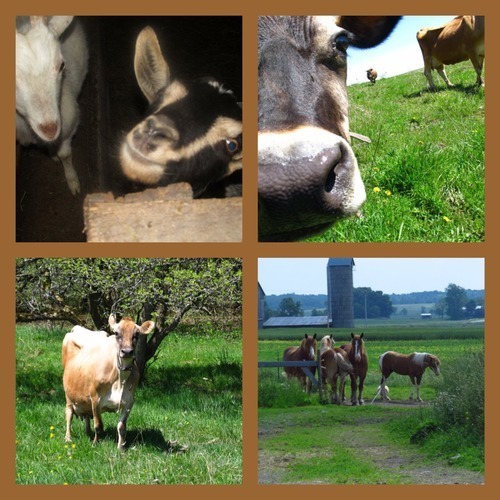 We were extremely poor, especially when I was very young, but my parents had given their lives to their farm and their dairy cows: this was our livelihood. My four siblings and I were expected to help, and the amount of help increased as we got older. As a teenager I was throwing around 100 pound square bales each summer and 120 pound bags of grain twice a day, carrying calves up to the barn on my shoulders from the far pastures, pounding fence posts, digging holes, hand hoeing 1/8 acre of garden. We were vegetarian primarily for my first twelve years of life, though I did get to eat Polish sausage from my great grandfather’s meat processing plant, as well as turkeys we raised for thanksgiving. We went trick or treating at maybe eight houses for Halloween, and were allowed the candy for a day or two before my parents upped and burned it in the wood stove. (This happened every year!) Processed foods were not available to me at all as a child unless I was at a friend’s house. As a child you go through the struggles of wishing you could have what you don’t have, and craving foods your parents don’t want you to eat. You hate your chores and wish you could play video games all day on the weekends like your friends (if you even owned any). But then one day you are an adult. I grew up and was living on my own, realizing how much I loved to work hard and be physically fit, and how much I loved the taste of wholesome food. As I pursued my four-year degree in the art of Eurythmy, I more and more experienced how much both these things-food and fitness-mattered even as I worked on changing myself on an inner level. The outer strength gave me courage and confidence, the ability to stand upright for long periods of time, to move on a stage to music for 20 minutes without pause. Nourishing food gave me health, the ability to think and take hold of everything in my life, to have enough energy to do so. And I realize now that all of my parent’s choices have come into fruition in me today, as I take the fitness journey and work towards optimum health. This is only the beginning and the first revelations of a person who sees fitness as an essential part of life. I am completely inspired by others who are on this journey and who show such dedication to health and motivating those who need help. The fitness community on the pumpupapp is a great one to be a part of: it’s positive, fun, confident, supportive and health-oriented. I realize that no matter how poor you are, if you can be a part of such a wonderful group of people, you are truly given wealth a thousandfold~”health is wealth.” Happy journeying. This is a post by Ashley Hampton (PumpUp: @rawincollege), a college student looking to spread the power of the raw vegan lifestyle through her positive posts and vibrant photos. Check out her blog. Finally putting the fruit controversy to rest, I am going to tell you why fruit is so beneficial for you and your body and why fruit does not make you fat!! After doing some research, I found a general consensus that people who eat more fruit on a daily basis have lower BMIs. Think about it this way—if you swap your regular morning muffin for an apple every day, you would save about 135,000 calories in one year alone! Isn’t that amazing?! Making small swaps like this will absolutely help you achieve your long-term goals. I am not saying to change your entire diet overnight—taking baby steps towards a healthier lifestyle will help you keep it up forever! It is all about quality and quantity on a raw vegan diet—fruit calories are packed with water, fiber, antioxidants, vitamins, and minerals. This means NO restriction! 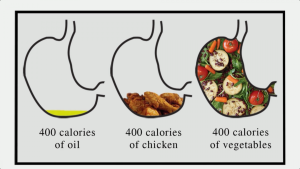 I included the image above to give you a visual understanding of why you never feel full after eating a donut that is high in calories– those calories are not nutrient dense! The calories in processed foods do not give your body what it needs to thrive and properly function throughout the day, therefore sending your brain messages that you need more—now it is up to you to give your body what it truly needs. The endless nutritious components of fruits and veggies allow you to consume as much as you desire while constantly feeding your cells with what they need to survive. Fruits and veggies do not only benefit the inside of your body, but they also help you to flush out toxins, radiate from within, and give you the energy that you need to get through your busy day. The antioxidants in fruits, for example, even out skin pigmentation and improve circulation giving you that desired “natural glow.” Fruits and veggies also fight off free radicals that could lead to diseases such as skin and lung cancer. I could truly go on and on about the benefits of this lifestyle but for now just remember to start making small changes that could eventually overhaul your life and your health inside-out. Check out more from Ashley at rawincollege.com and find her on the pumpupapp @rawincollege! Clear your mind of can’t. I believe that you can eat your way to a beach-ready body for the summer. Trimming off those extra holiday pounds might be a hurdle and a half, but don’t give up now! 1. SET PRESENT-TENSE GOALS! It all starts by having clear and realistic goals. Write a list of things you want to change about your diet. Incorporate goals that you have for your body and plan your new lifestyle around those objectives. How to do it? Set present, short them and long term goals. Write in the present tense. Pin it up somewhere in your house: a place you know you won’t be able to avoid (like the fridge). Take it one goal at a time. 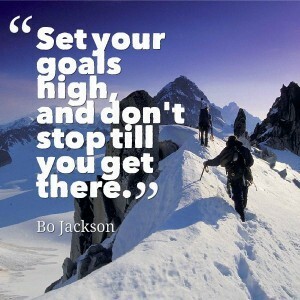 Take your time to achieve your goals, it’s not a contest :-). 2. Make Your Goals Public! You might feel uncomfortable doing this but I highly suggest it. Why? Because making your goals public (on the pumpupapp, for example) will put a pressure on you and will have no other choice but to follow through with them ;-)! Plus, you can inspire people around you and they might join you! 3. Realistic Expectations. You need to be realistic when setting up the parameters of your new diet. Your plan needs to work for you and your situation. Follow your budget, cook your food to help you stay on track with your new lifestyle. Be realistic with time, and give yourself extra time to prepare food. Keep in mind that obstacles can and will derail you from your progress, so don’t think that everything will be easy and will just magically happen. This takes work. 4. Keep healthy food on hand. Make a list of foods you enjoy, and what food you can take with you to work, school, in the car etc. You can create entire menus depending on where you will be. Never give yourself an excuse to not have something available for you to eat, no matter where you are when you are supposed to have a meal. Always keep healthy food on hand. If you don’t you will end up eating whatever is available for you at the moment. This can throw off a diet plan and get you in the habit of making bad food choices and eat whatever is fast and convenient. 5. Consistency Is Key! People respond well to consistency. Make a plan and stick to it. Try to eat at around the same times daily and keep the same portion size and caloric intake. Your body will recognize this pattern and in turn keep your metabolism burning and your energy level will stay high. You will feel better by getting yourself in a healthy routine! 6. Be Flexible. Of course, even the best plans fall short at times. Sometimes your eating routines need to change. Where you can, try to plan ahead for these events and have items on hand you can take with you when you’re in a rush or are eating out. Example: bag of nuts or almonds, protein bars, shakes, fresh fruits. Also, educate yourself on nutrition through the internet, blogs, magazines, books…Use your knowledge to help you improvise and find foods that are more compatible with your diet. 7. Don’t Beat Yourself Up. Nobody is perfect. We all make mistakes or miss a few meals. Even I do it. Just pick yourself up and get back on track! You’re doing this for you, so the added stress of not living up to your own expectations can lead to a total diet derailment. Being healthy and eating healthy doesn’t mean that you can’t enjoy food that isn’t on your meal plan. So, please don’t beat yourself up. YOU CAN DO THIS!!! 8. Make It Fun! Eating right takes dedication, commitment and sacrifice. Don’t stress yourself out over small bumps in the road. You have the power to change any negative situations or thoughts into positive ones. Find fun ways to keep yourself motivated! Get your family or a friend involved. Set challenges at home, with friends or at work to start eating healthier. You are making change for the better, so why not make it enjoyable! 9. Give Yourself Praise! Don’t reward yourself with treats. This will derail all of your week efforts into the trash. Realize that changing your eating habits can be a daunting task for anyone. Just think how long you have had your correct habits and know that changing those habits will not happen overnight, but with time. Congratulate yourself on any healthy changes you make, you deserve the praise!!! Instead of rewarding yourself with a treat, go and get a nice tank top to motivate you even more! Praise builds confidence and makes you feel good about the healthy choices you are making and in turn helps you stay on your path to betterment. 10. Focus On The Journey And Not The Destination. It is never easy to love a healthy lifestyle. But in order to enjoy it with all the ups and downs, we must enjoy the process and the journey on the way to our destination. Once we hit our destination we immediately look to the next mountain top and we either want more or worst case scenario we think that we have accomplished all we need to and we relax on all of the things that got us there in the first place. Take pride in the small victories along the way, they add up. Making successful changes means measuring your progress towards your goals and recognizing your accomplishments. As you meet short-term goals, you can plan the next steps with more confidence. Constantly re-strategizing your goals takes long-term visualization. That long-term vision needs to be broken down into doable steps. Now, go out and make a difference in your life today!!! Would you like to receive more support from me on a daily basis?? Ask me about my next Challenge & Support Group! Together we can set goals and achieve them! This is part of a series of posts by Jennifer (@liftingfairy on PumpUp), a bikini competitor. Check out her blog here. The first month of the New Year is slowly coming to an end. I’m sure that a lot of people have already given up on their good intentions. This is pretty normal if you don’t have a specific plan in mind. Even if you did give up, it’s never too late to start again. This time, let’s start right. As I always advise, set up an eating plan with lots of variety. Don’t make it overly complicated. Make it interesting for you. Think about healthy options that you’d personally (and realistically) look forward to eating, and plan around it. Seeing is believing. Once you see results and see that you are capable of making changes in your behaviour, you will become more confident and motivated. Break down your goal in smaller steps; it will make it easier for you to believe that you can achieve it. Research has shown that social support is very important, especially after the first few weeks when your motivation begins to fade. Avoid negative people, seek support from a community of likeminded individuals like those on the pumpupapp, or get a gym-buddy to work out with you. If you want to lose weight or hit the gym more frequently, set up a sensible plan for your grocery-shopping, cooking and workouts. Get a solution for your cravings without depriving yourself from food you love. Say that you want to lose 30 kg. You’ll be much more motivated to stick to your goal when you think of every 5 kgs ‘lost’ as a ‘milestone’. Your success is a composite of mini milestones strung together. Cravings are caused by swings in your blood sugar. Avoid quick boosts like sweets, soda or simple carbs. If you eat every 3 hours and include lean protein from nuts, meats or beans, you will satisfy your hunger for fewer and healthier calories. Eliminate tempting and fattening treats from your environment by stocking the pantry and refrigerator with healthy foods. For the first weeks, it may also be best for you if you surround yourself with people, places and things that will HELP you change and not tempt you. Instead of resolving to eat less junk food or watch less television, think of a good habit that you can substitute for each bad habit that you’re trying to get rid of. Just dieting and cutting down on everything is non-sense. It isn’t a healthy, nor sustainable way to maintain your lifestyle. Every time you reach one of your ‘baby goals’, reward yourself with anything you want: flowers, new gym clothes, even a sweet treat (in moderation). It is totally okay if you have a setback, what matters is that YOU can control it. You have to learn to ‘recover’ from slips. You have to be strong, and remind yourself that you are strong and that you can do it. You shouldn’t see a setback as a failure and use them as an excuse to give up. I am convinced that by the end of 2015 I will have tallied almost all the goals on this List. The 4th resolution may be the most difficult one, but I believe in myself. I want to represent my team with my best possible shape at the Powerfood’s J-M.B Open and if I get the chance to participate at the world-championship in Warsaw I don’t want to just be part of the event. I am going to compete. 2015 is GAME TIME. 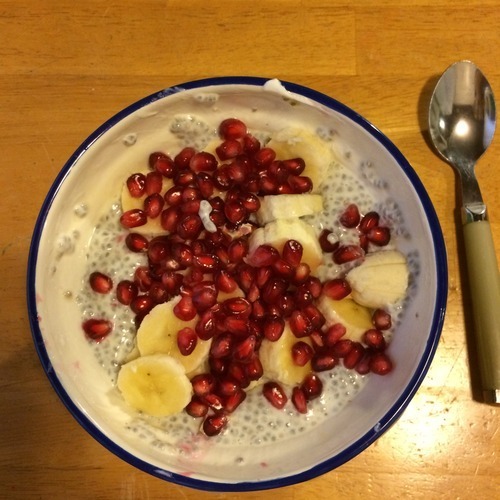 PumpUp your morning with 2 pumpkin-infused healthy breakfasts! It’s officially fall, and that means that it’s time for apples, squash, and of course, pumpkin! If you love it as much as I do, you’re probably enjoying plenty of it these days, and today I’ve got 2 new ways for you to do just that. Not only is pumpkin tasty, but it’s also a superfood. It contains heaps of beta carotene, a powerful antioxidant that helps our immune systems to stay strong. This is super important at this time of year, especially if you want to maintain the quality of your workouts. Whether it’s a crunchy grab-and-go breakfast you want, or a nice comforting bowl of oats, I’ve got you covered with these 2 recipes. Measure out the dried fruit but don’t mix it into anything yet! Set it aside. Oil a large baking sheet or line it with parchment paper for easy clean up. 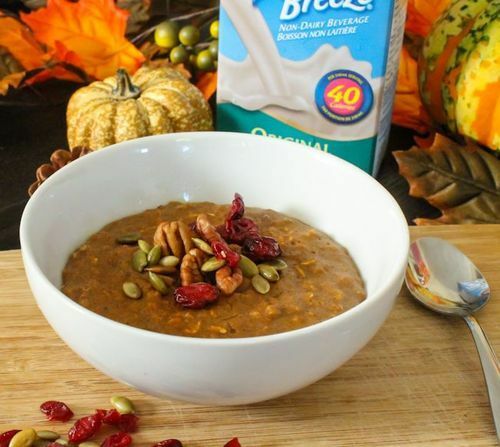 In a big bowl, mix together the oats, puffed millet, pepitas, chopped pecans, and pumpkin pie spice. Pour the wet mixture into the dry ingredient bowl, and stir well, coating as evenly as possible. Pour the entire contents of the bowl onto the baking sheet. Use a spatula to make an even layer. Bake for 20 minutes, then remove the pan from the oven. Use a flipper to break up any large chunks and continue baking for another 15-20 minutes, stirring occasionally. After 35-40 minutes, the granola may still be a bit soft. Stir in the currants and dried cranberries, and allow it to sit on the counter until completely cool. At this point, the granola should also be much more crunchy. Store in air-tight glass jars or containers for up to 4 weeks. Pour oats, almond milk, and vanilla into a small saucepan over medium heat. Bring the pot to a boil, then reduce to a simmer for about 2 minutes. Turn heat to low and stir in the pumpkin, cinnamon, pumpkin pie spice, and stevia. Continue to cook until the entire mixture is hot, adding a little additional almond milk if desired. 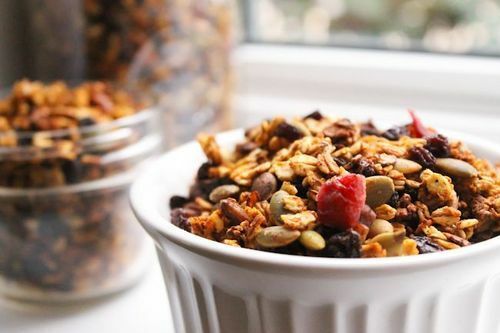 Transfer the oat mixture to a bowl and sprinkle dried fruit, nuts, and seeds on top. I’m curious – what’s your favourite way to enjoy pumpkin? Share in the comments below! About the Author: Outside of her full-time job, Angela is a fitness instructor, personal health coach, and blogger. When she’s not creating recipes and writing blog posts, she can be found running half marathons, traveling, and eyeing up her next purchase at Lululemon. To learn more about Angela, check out her blog, Eat-Spin-Run-Repeat.com. You can also get your hands on her free e-book, Creating a Whole Foods Lifestyle (complete with 10 healthy, delicious recipes) by subscribing to email updates. You’ve been so great at sticking to your workout routine, but all of a sudden you wake up feeling under the weather! WHAT TO DO? Here are some general guidelines for when you SHOULD and SHOULDN’T work out. If the signs and symptoms are above your neck (eg. runny nose, nasal congestion or minor sore throat) you’re okay! If the signs and symptoms are below your neck (eg. chest congestion or a hacking cough) steer clear of the gym. If you choose to venture to the gym when you’re sick, be courteous to your fellow fitness pals — use hand wipes and sanitizer to wipe surfaces you have touched so you don’t spread it around. Fever is a limiting factor. Since a fever means the immune system is fighting an infection, you know your body is already under stress. You don’t want to add more stress to it by exercising. Get yourself out of bed and get moving. A morning workout, such as light cardio or a circuit, could be just what the doctor ordered after a restless night. It might even help boost your energy levels and get you ready to push through the day! Get over it! If only certain muscle groups are sore, try working different muscle groups or do some cardio. If you’re feeling super sore (or just lazy), try stretching it out! You recently suffered a severe injury? The body needs time to heal. Do not exercise or participate in any physical activity unless cleared by your doctor. February 14th is a day full of love and romance. Couples get together, eat chocolate, go out for fancy dinners, and enjoy a wonderful day together. However, there is another side to Valentine’s Day that usually goes unnoticed. Working out with your valentine isn’t just fun, but a great way to stay motivated and challenge each other! You’ll find yourselves enjoying some healthy competition. Having your companion one step ahead of you is a great way to stay motivated, get stronger, and increase your energy levels. If you don’t believe me, read what other couples have to say. On that note, here are some great activities you and your valentine can do together — don’t be afraid to challenge each other! Cardio: It’s as simple as going on a run together. There’s no better running partner than the person you care about most. And what better way to spend quality time together than on the run?! Medicine Balls: There are tons of great benefits to using medicine balls for strength and conditioning training, and they’re easy to share with a partner. Try playing catch, and if you’re feeling more adventurous, pass the ball after every sit-up or squat! This Valentine’s Day, don’t just sit around and eat chocolate — get physical and make the most out of your day! Follow us on twitter and have a happy Valentine’s Day! Cure your Exam Fitness Drought! With assignments to complete and exams to study for, exam season can be a very stressful time; staying healthy and in-shape becomes more difficult. The hardest part is finding the time to go to the gym while you have so much other work to do. Here are a couple tips to staying in shape during exam season! 1. Sleep: It all starts with a good night’s sleep. When you sleep well, you have more energy to be more productive with your studies, WHICH THEN gives you more time to exercise! 2. 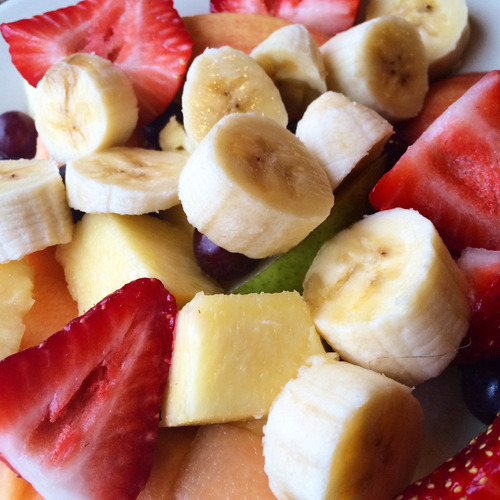 Eat Healthy: No matter how busy you get with exams, you need to eat. Take 5 minutes in the morning and pack your food for that 12 hour study session. If you eat healthy, you’ll feel better and avoid putting on those extra pounds from snack breaks. 3. Work Out: I know, I know - easier said than done during exam season… but there are many quick n’ easy ways to get active without ever leaving your bedroom! Here are some examples of exercises which can be done in little to no time to keep you active during exam season. Push- Ups: Simple, but effective in targeting your entire upper body and core. Body-Weight Squats: Try doing 100 of these and you’ll feel a great burn. Plank: A great ab exercise - make it more fun by competing with a friend for time. Burpees: Excellent way to get your heart rate up and use your full body. All of these exercises can be done multiple times a day to stay in shape during exam season without having to leave your bedroom! Let us know how you plan on staying fit and healthy during this exam season! Although this might sound a bit extreme, too often people find themselves trapped to the number they see on the scale. For some people, the scale is a means of self-torture. How many times have you stepped on the scale first thing in the morning, and let the number determine how you feel for the rest of the day? In reality, the numbers on the scale don’t mean that much. Firstly, we have hormones. For women, weight varies throughout the month based solely on hormone levels. Because our hormones change so frequently, it can be quite challenging to get an accurate scale reading. Secondly, bloating is something that affects both men and women. Although men don’t experience hormonal changes on a monthly basis like women – both sexes can be equally affected by dietary factors. Take for example – sodium. When we ingest high amounts of sodium (in english terms – foods with a high salt content) our body has to try and balance itself with water. In order to dilute high levels of sodium, the body will retain fluids. This is a common cause of bloating and why you might see higher numbers on the scale. Lastly – and frankly one of the most important points of all – scales tell you nothing about body composition. Muscle is approxmately 18% more dense than fat, so it weighs more. 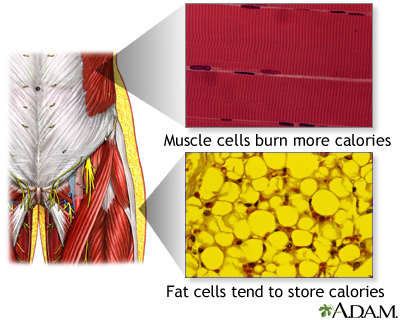 The same weight of muscle can take up half the amount of space as fat. That’s why we can lose inches and change our body shape but see almost no change on the scale. A much simpler way to judge “weight loss”, or more significantly, whether or not you are changing your body, is by how your clothing fits. If you find your jeans are less snug or your t-shirts feel looser then you know you are doing a good job! Don’t live your life chained to a scale. 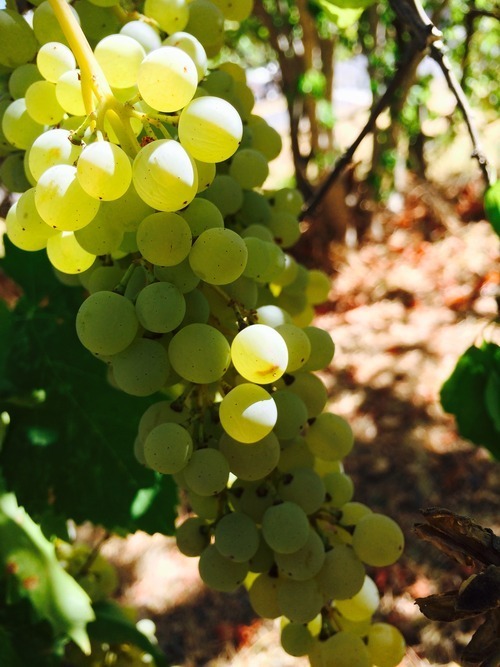 Our weight naturally changes throughout the course of the day from simply eating and drinking. If you drink more water one day, you might be up 2 pounds. If you sweat a lot when you exercise, you can be down a pound. Focus on exercising and eating right and your body will settle itself to a natural point. Why is healthy eating often perceived as scary? The simple fact is: it’s really not that difficult! To get you started on the path to healthy living, here are 10 simple yet awesome healthy eating tips! your body. For example – eating oats and blueberries rather than a blueberry muffin. Keeping it simple is the way to go. It is vital to eat regularly if you want your metabolism to be running at max efficiency. Our metabolism is what breaks down the food we eat and determines whether we will be storing the energy in our bodies as fat or using it as an energy source. Skipping meals causes your metabolism to slow down, causing the fat burning process to go much slower. explode - that means you’re overeating! 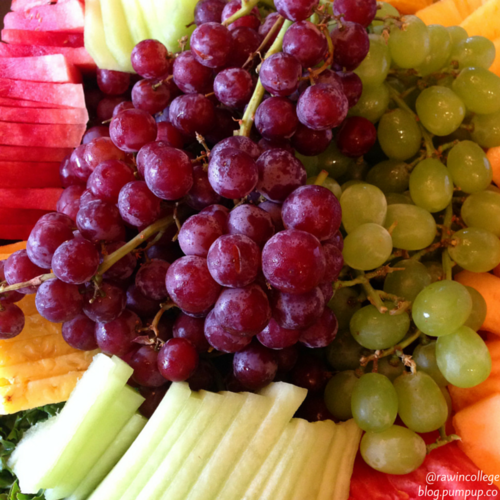 healthy snack like a fruit or a handful of nuts in-between meals to keep your metabolism going! Don’t be too drastic when it comes to cutting out your favourite foods. While it’s important to clean up your diet and dump the junk, if you never treat yourself to the foods you love most (even if they aren’t exactly the healthiest), you’ll probably overdo it when you do eat them again. So plan for treats and don’t feel guilty. We are human, after all, and should enjoy the fantastic food around us. Just don’t overdo it! Keeping yourself hydrated is very important since the human body is made up of ~60% water. Quenching your thirst with high-calorie sugary drinks or diet soda is not the same as replenishing with water. Staying hydrated can also prevent overeating because many people misinterpret hunger with thirst. Water also boosts your energy level, flushes out toxins, and keeps your body functioning optimally! Everybody is different. If you tend to overeat on a regular basis, it can be helpful to observe what triggers you to do so. Some people overeat in response to environmental factors (such as feeling very tired, or after a stressful day at work), whereas for others, certain foods might prompt a binge (for example refined sugars). If you’re aware of your triggers, you can take steps to avoid them, or if that’s not possible, to find relief from stressful situations in some other way instead (like using one of your personalized PumpUp workouts)! Many restaurants serve enormous portion sizes compared to what the average person actually needs to eat in a single meal. It’s important to remember that these portion sizes should not be used as a guideline for how to eat at home. There’s no need to weigh and measure your food (unless you find that helpful); just pay attention to not overfill your plate. Before taking a second helping, drink a couple glasses of water. That might do the trick. If you don’t chew your food properly, you’re more likely to end up with digestive complaints. You’re also more likely to overeat because it takes time for the brain to recognize the body’s satiety signals and reduce the appetite. To top it all off, you’re less likely to really enjoy your food, which can lead to overeating in an attempt to gain the real psychological pleasure that a good meal provides. So if you tend to gobble your food, try to get into the habit of slowing down, chewing slowly and really savouring every mouthful. Don’t be afraid to put your fork down and drink some water during your meal. Keeping a record of what you eat and when is a great way to become more aware of your eating patterns. Visually seeing what you have eaten also helps you to be accountable for what foods you are putting into your body. Often people nibble and snack on foods here and there and don’t realize that doing this throughout the day adds up to a lot of calories. Give it a go! I hope you’ve learned something about healthy eating from these tips and are inspired to give them a try. Just adding one of these tips to your daily routine can make a world of a difference!